Through presentation of good practice and case studies, discussions and shared learning, and creative task-based exercises, the workshops will address the challenges and explore the benefits of embedding evaluation in the work of libraries, including strategic planning and project delivery. How do you choose what to evaluate? How can an evaluation framework help you? 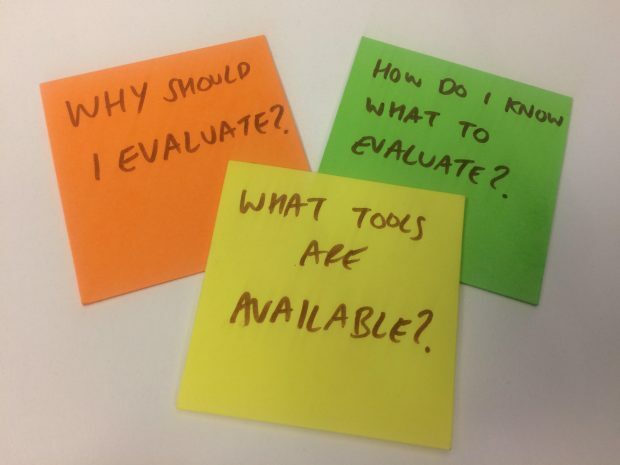 After the workshop, you will have a set of resources to take away to support the ongoing development and delivery of effective evaluation in your organisation and/or project team. These workshops are funded by the Department for Culture, Media and Sport and Arts Council England and are free for all library staff to attend. All events will run from 10.00-16.00 (with a start time of 10.30 to allow for registration and for everyone to get a coffee and network beforehand). Lunch and refreshments will also be provided - when booking your place on eventbrite please make sure to include any dietary requirements. These sessions are aimed at library staff at all levels who want to increase their understanding and learn new methods for conducting evaluations. This includes libraries which are council-run, commissioned or community managed. If you’re interested in attending the workshops, please register via the Eventbrite pages. If you have any further queries about the events, please email librariestaskforce@culture.gov.uk.